Bollywood Megastar Salman Khan is back in his newest film, this time with a collection of colorful sunglasses, as Jai, the kind of character we know Khan for: cool, strong and absolutely badass. You better get one thing straight: he is the man and we live by his rules. This badassery is part of what made Khan a superstar in Bollywood, India’s film industry, and I have to say that it’s absolutely enjoyable to watch him portraying these larger than life characters. It kind of reminds us of those action-heroes that we learned to love back in the 80s. The character Jai is no exception. He is a man of steel but not without emotion, as he isn’t too shy to cry every now and then. 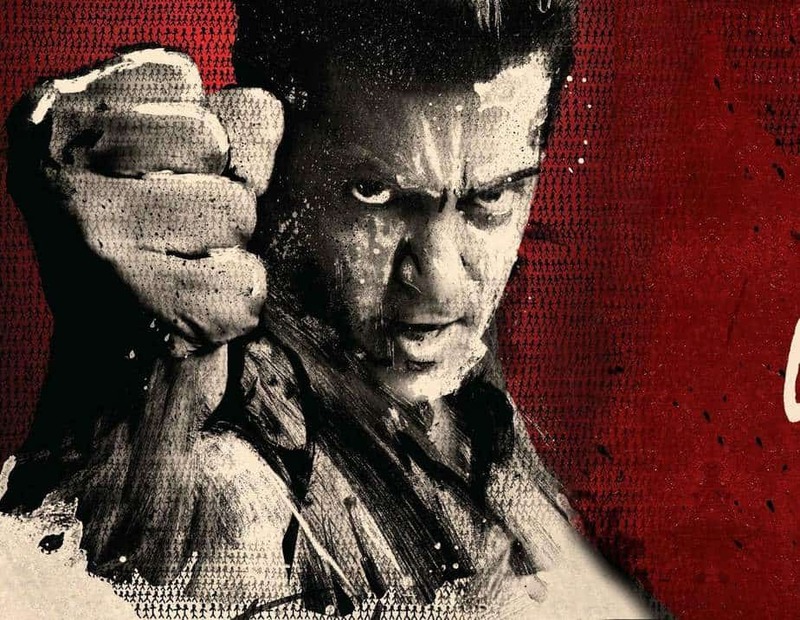 Well then, when we take a look at Jai Ho, the main message the plot wants to deliver is that in a world where people only care about themselves, people have to start caring about others again and help each other. After an unfortunate event in Jai’s life, he wants nothing more than help other people and starts to spread a “pay it forward” kind of system of helping one another. This gets him involved with a powerful political family that plays dirty to achieve their goals. That’s basically the story, which isn’t much and if you have seen more of Salman Khan it’s basically more of the same. The story is therefor nothing more than a backdrop for Khan’s screen presence. Of course I can start being all critical about that, but Khan knows what his audience wants and expects of him, so he gives them just that. And it’s just a whole lot of fun. Jai is a good guy, a very good guy, trying to spread love and peace around the world. But don’t you dare to piss him off. Lucky for us, he does get pissed off, very, with awesome consequences. Roaring, kicking, smacking people all over the place and through glass: action wise the movie is a blast and sometimes goes deliciously over the top. As an action flick, the film does well, but next to the action the film has its share of over the top humor, complete with slapstick sounds and loud acting. It helps to keep the film fast-paced, but it does result in some viewers probably feeling it’s a bit too much. The film has many moments that do feel too forced and basically, well, random. This randomness has to do with the well-known Bollywood formula. Characters can suddenly start dancing and singing out of nowhere, having the movie turn into a music video instantly. Jai Ho is no exception; characters can hate each other one minute, enter music video, and they love each other the next. Slapstick humor is rapidly switched with thick melodrama and romance and singing and action. That’s a lot, giving the movie some elements that most Bollywood films have: a mix of many genres that are thrown at you, one right after the other. And I have to say, it does feel a bit too much sometimes but I can’t deny it is plain fun and most of all: entertaining. And sometimes people seem to forget that most movies are made for that reason. But yeah, I can fully understand people disliking the hell out of it. Although the movie is a lot of colorful fun and has truly bone-cracking action, some of the subplots do slow the movie down, and the film could have done without it. But clocking in at around 2 hours and 20 minutes, Jai Ho isn’t as long as a standard Bollywood film, which most of the time hit the 3 hour mark. All put together, this movie surely is entertaining as it’s action-packed. Although it is sometimes kind of random (as in one minute we are in a happy musical number, the next we are witnessing a high speed chase sequence), just stay open minded and enjoy. Yes it is unbalanced, yes it is a one man show: but all part of the fun ride.